Anyone who associates "Texas Flood" only with Stevie Ray Vaughan has never auditioned Larry Davis' version. 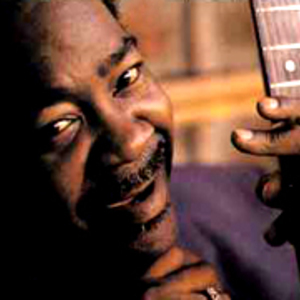 Davis debuted on vinyl in 1958 with the song, his superlative Duke Records original remaining definitive to this day despite Vaughan's impassioned revival many years down the road. Davis was born December 4, 1936 in Kansas City, MO and grew up in Little Rock, AR, giving up the drums to play bass. Davis was born December 4, 1936 in Kansas City, MO and grew up in Little Rock, AR, giving up the drums to play bass. Forging an intermittent partnership with guitarist Fenton Robinson during the mid-'50s, the pair signed with Don Robey's Duke label on the recommendation of Bobby Bland. Three Davis 45s resulted, including "Texas Flood" and "Angels in Houston," before Robey cut Davis loose. From there, Davis was forced to make the most of limited opportunities in the studio. He lived in St. Louis for a spell and took up the guitar under Albert King's tutelage while playing bass in King's band. Finally, in 1992, Ron Levy's Bulleye Blues logo issued a first-class Davis set, Sooner or Later, that skillfully showcased his rich, booming vocals and concise, Albert King-influenced guitar. Unfortunately, it came later rather than sooner: Davis died of cancer April 19, 1994 in Los Angeles, CA 1994.